BPN is taking the world of nature photography education by storm. Join us and see why. Important Request: if responding to this e-mail; please take the time to delete all images and irrelevant text. Having learned pretty much everything that I know about Photoshop from friends, it is rare that I discover something new on my own. To increase the density and detail in highlight areas, you can create a mask by using Select/Color Range/Highlights or Select/Color Range/Sampled Colors, or by creating a Quick Mask. Once you have the area you want to modify on its own layer, select Linear Burn as the Blending Mode (rather than Multiply which many folks currently use for the same purpose). In most cases, you will need to reduce the opacity to taste. When using Linear Burn, the whites look really, really good with great detail while still remaining white and while avoiding the dreaded muddy/gray look (that sometimes comes when using Multiply as the Blending Mode). Canon 400mm f/4 IS DO lens with the EOS 1-D MIII. ISO 320. Evaluative metering -2/3 stop off of the water. 1/1600 sec. at f/7.1. While I liked making images in the sun on my recent (2nd) trip to Bonaventure with Monsieur Chris Dodds, the subject was too far forward in the frame, the birds in the background were distracting as were the taller yellowish grasses on the cliff edge (left), and lastly, the horizon was way crooked. I leveled the horizon using one of the several methods detailed in Digital Basics, expanded canvas as described in Digital Basics, and used a variety of tools including Quick Masks, the Patch Tool, and the Clone Stamp (again, all as described in Digital Basics) to clean things up and to add the needed habitat in front of the bird where I had added canvas. Our complete digital workflow, the basics of Quick Masking, and the secrets of using the Patch Tool are among the hundreds of topics covered in our Digital Basics PDF file: http://www.birdsasart.com/digitalbasics.htm. Above is the image before selecting the highlights (I used Select/Color Range/Sampled Colors) and before executing the Linear Burn. 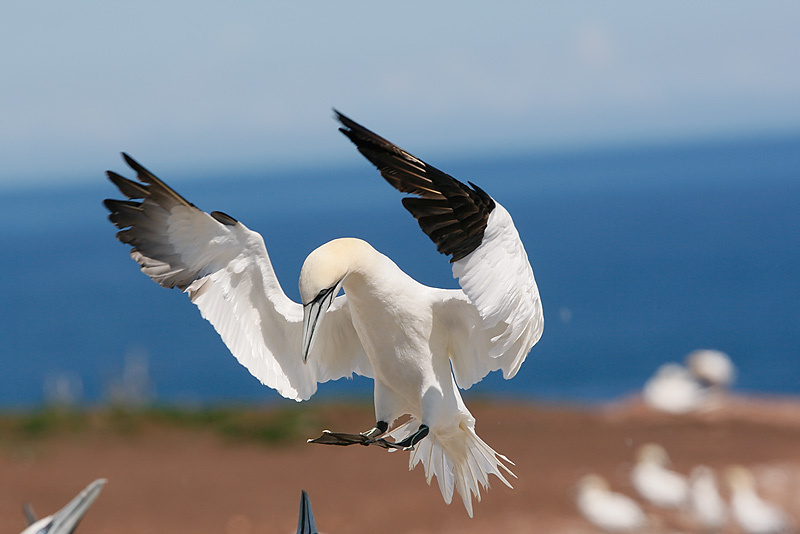 Notice that while there is detail in the whites and the yellow head feathers that those areas are exceedingly bright. Above is the final optimized image. Note the increased detail in the whites and the yellow head feathers. You can see my first BPN post on using Linear Burn here: http://www.birdphotographers.net/for...ad.php?t=17876. New visitors will be prompted to register. Registration is free. Canon 70-200mm f/4 L IS lens (handheld at 189mm) with the EOS-40D. ISO 400. Evaluative metering +1 stop. Fill flash at -1 stop. This image was created on the Zodiac ride on the first morning of the Gannets Galore trip that I co-led with Monsieur Chris Dodds. A full trip report will appear in the next Bulletin. 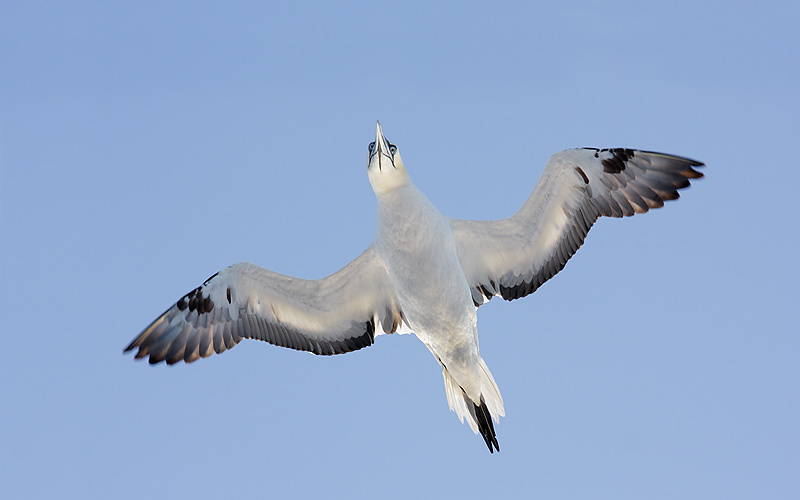 On our last Zodiac ride Chris created an image of a diving gannet that I think has huge BBC Wildlife Photographer of the Year potential. 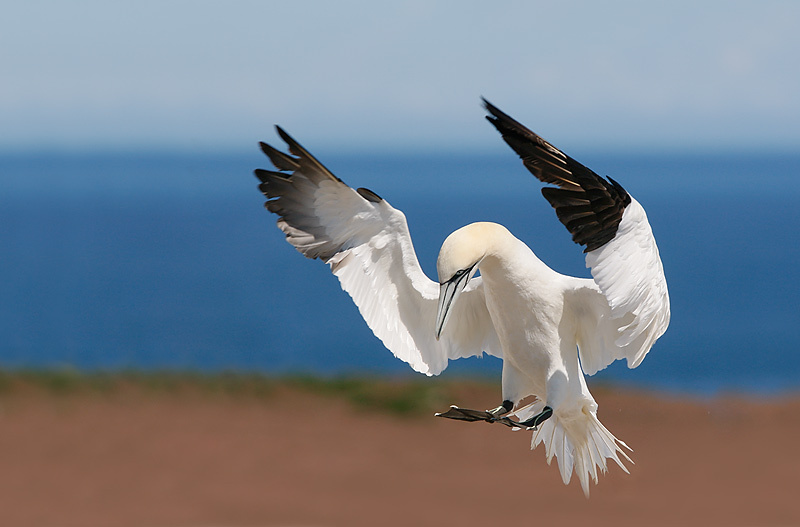 I hope to share it with you in the next Bulletin when the dates for the 2009 Gannet's Galore trips will be announced. As Linda Robbins’ High Speed Flash Hummingbird Guide is (finally) nearing completion, we are beginning to add the products that folks will need. 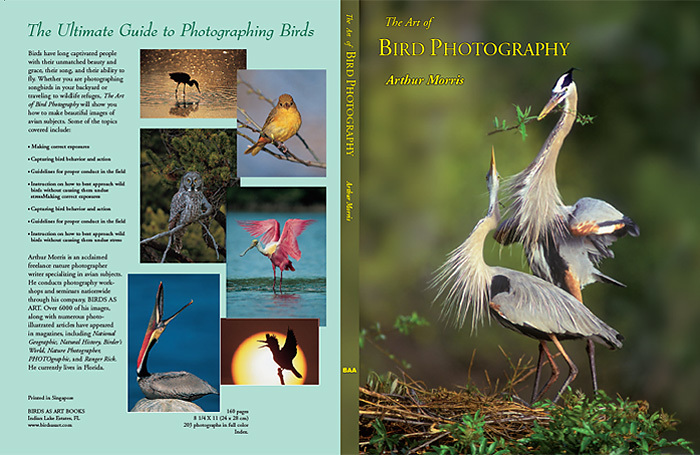 Here are two great products for folks using either or both BP 511 batteries in their cameras or AA batteries in a single external flash unit for general bird and nature photography. If you use four AA batteries in your flash and discard them after use you get to spend another $8.00 or so for four more quite often. Switching to rechargeable AA batteries is dozens of times less expensive over the course of a year or two of photography and in addition is much, much kinder to the environment. Delkin Extended Power Rechargeable AA Batteries are top-rated at 2900mAh. Delkin understands that purchasing high quality batteries for your equipment is important to you, and therefore, they hold themselves to the highest standards of manufacture, service, and professionalism. Working only with highest grade materials to prevent short circuiting and to maintain a safe and accurate charge, these batteries are crafted with your safety and the safety of your flashes in mind. And all Delkin Power batteries undergo rigorous quality testing before they are sent out to the consumer. Delkin Extended Power Rechargeable 2900 mAh AA Batteries come with a limited 2 year warranty and are 100% compatible with anything that takes AA batteries. You can save a ton of money by ordering your Delkin Extended Power Rechargeable 2900 mAh AA Batteries right now from BIRDS AS ART. I have been using these batteries for my hummingbird photography for more than a year and have found them to be both powerful and 100% reliable. After having three out of four Ansmann AA battery chargers (two different models) fail within four months of purchase I decided to try the Delkin Universal Charger with AA Battery Plates. You purchase the charger and two AA battery charging plates and you are able to charge 8 batteries quickly and efficiently. 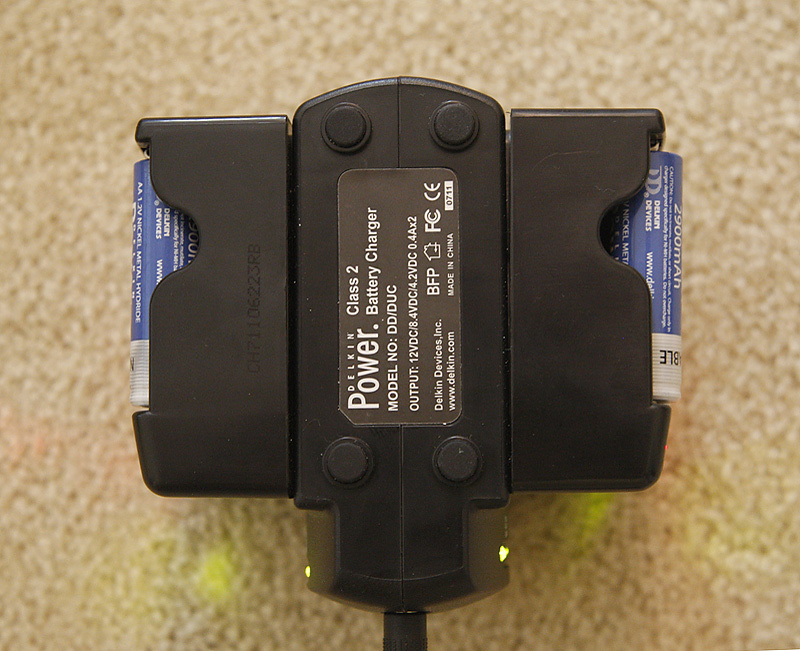 If you use a Canon camera that uses BP-511 batteries you can purchase two plates for these batteries and charge them two at a time. Delkin Universal Charger: $52.99 plus $7.00 shipping to US addresses. AA plate (one in a pack): $9.99 each plus free shipping with the purchase of a Delkin Universal Charger. BP511 plates (2 in a pack): $4.99 plus free shipping with the purchase of a Delkin Universal Charger. 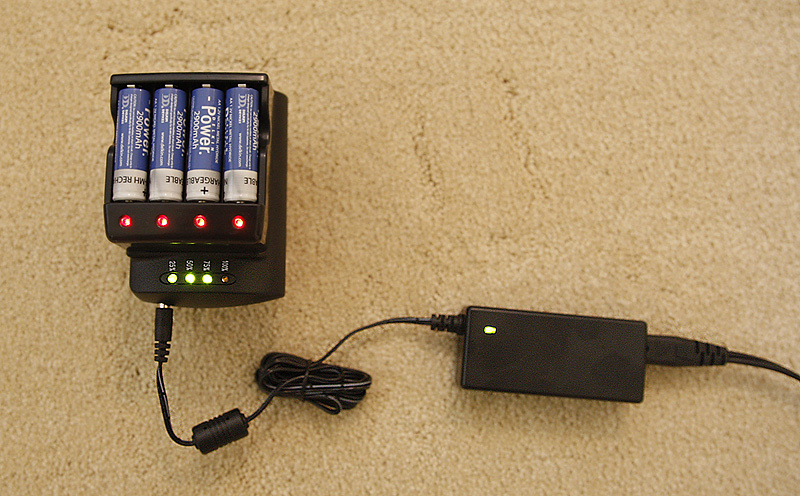 Side view of the Delkin Universal Charger with two AA Battery Plates charging eight 2900 mAh AA batteries at once. Below: top view of the same. We will be accepting early-delivery option orders until August 29, 2008. Those who miss the boat will need to wait until the entire order arrives via slow boat in October. In October the book will sell for $40 plus shipping ($5.00 to all US addresses/ $12.00 to all foreign addresses). Those who have been anxious to get a copy (we have seen them selling used on Amazon for several hundred dollars) are invited to order an early delivery-option copy as follows: $40 for the book plus a $10 early delivery-surcharge (to defray the cost of having several cartons of books Fed-Xed from Singapore) plus the regular shipping charges (as noted above). Do note that though we will be receiving our advance copies via Fed-X the book that you purchase will be sent book rate to US addresses. This service normally takes 7-10 days but is sometimes surprisingly faster. Those in a real hurry can e-mail Jim to inquire about the cost of 2nd day air shipping. Important note: we are not accepting pre-orders for the books that will arrive here sometime during in October. We are only accepting early delivery-option orders: $50 plus shipping as above. Paypal, check, or credit card by phone (863-692-0906) are all fine. This seminar is for all nature photographers who want to learn how to make better photographs. On Saturday I will describe the methods and techniques that I have used and developed since 1983. My comments on lenses and digital camera bodies, AF, light, and on composition and image design will be highly informative and educational. And my tips on getting close to free and wild subjects and creating pleasing blurs will help you become a better photographer. Everyone with a telephoto lens who wishes to dramatically improve the quality of their images will benefit from attending. Since going all-digital in November 2002, I have—with the help of many wonderful friends—become a Photoshop expert. My approach to optimizing images is to create master files of excellent quality in the shortest possible time. I will share our workflow and numerous Digital and Photoshop tips on Sunday. As more and more folks are using Digital Capture, I am finding on our IPTs that many good to excellent photographers have no clue as to how to use Photoshop to make their images look better. In fact, many of them make their best images look worse! I can and will teach you to do just that at this seminar. Canon 24-105 mm IS L zoom lens handheld at 92mm with the EOS 1-D MIII. ISO 1600. Evaluative metering +1 stop: 1/25 sec. at f4. One of the many topics that will be covered during the weekend will be how to create stitched panoramic images. It's a snap! And remember, it ain't just birds!